Donaldson, Guenther + Yilmaz Aesthetic, Implant and Comprehensive Next-Level Dentistry Ann Arbor is a world-class restorative, renewal, and preventative dentistry practice. We employ an artistic and compassionate approach to maximize your outward appearance, inward health, and overall confidence. Quality is at our core. Our pricing enables us to use only the finest materials. We take the time to do the job correctly because we know details matter and excellence does not happen quickly or by accident. We pride ourselves in clearly communicating your procedures and choices with no-pressure consultations and transparent payment options. And with meticulous attention to detail, we can help make your smile a natural extension of your personality. Dentistry needn’t be a source of fear. Your comfort, safety, and trust are our top priorities. Our mastery of the science of dentistry means we combine our expertise with creative vision to give you a stunning, natural-looking smile. Meticulous attention to detail and a world-class patient experience combine for unparalleled quality. 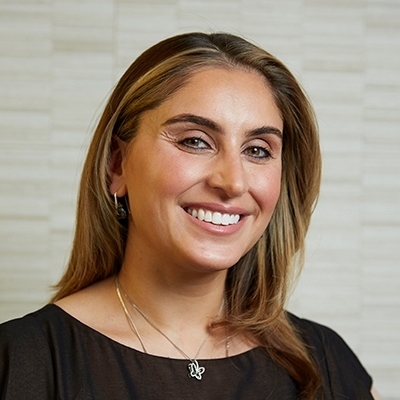 Dr. Zerrin Yilmaz, DDS joined Donaldson, Guenther + Yilmaz in 2012. A proud Ann Arbor native, she earned both an undergraduate degree in biology and her DDS at the University of Michigan. Always striving for personal and professional growth, she completed intensive training at the University of Detroit-Mercy and St. John Providence Hospital, as well as ongoing in-house training with her mentors – Dr. Guenther and Dr. Donaldson. 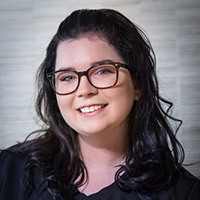 Keeping up with the very latest dental science, she has a deep passion for the full range procedures – from smile makeovers, gum grafting, and bridges to extractions, crowns, and root canals. She sees herself as a patient advocate, making sure each patient has all the information they need to make informed decisions. Dr. Kirk Donaldson, DDS, MS attended the University of Michigan for his undergraduate degree, DDS, and graduate degree in dental prosthodontics. From there, he’s built a career of continuous education. His passion for prosthodontics propelled his expertise in dental porcelain and cosmetic dentistry. He is also highly trained and experienced in implant surgery, bone and tissue grafting, root canal treatment, and oral sedation dentistry. 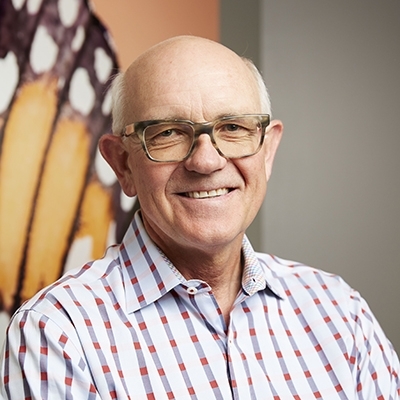 He received high academic and clinical honors from dental school and has served on the board for a large dental continuing education society. Through next-level dentistry, he is dedicated to empowering and enhancing lives, and making it possible for people to make their hopes a reality. Dr. Kristin Guenther, DDS climbed the dental ladder and put herself through school in the process. She started as a dental assistant at age 16 before becoming a hygienist. Hard work and experience paid off, and she graduated as a DDS with high honors and recognition from the University of Michigan. Today she uses her expertise to provide advanced restorative procedures, high-tech root canals, cosmetic dentistry, and solutions for sleep apnea and snoring. Dr. Guenther is passionate about providing a truly positive experience for each patient, which extends from world-class procedures to working through fears, insecurities, and hopes with each individual. Kirsten believes in the power of prevention and restoration. After attending the University of Michigan for her undergraduate education, she attended Midwestern University College of Dental Medicine in Chicago. Kirsten is passionate about the power of dentistry: taking something that was broken, hurt, or missing and being able to make it whole again. She loves that dentistry provides a chance to create, and the potential to change lives for the better. Outside the office, Kirsten enjoys hiking or biking and generally being outside, traveling to new places, as well as reading and writing fiction. Her secret? She watches Jeopardy religiously. 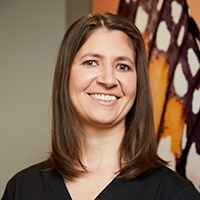 Kelly graduated from the University of Detroit Mercy in 2000 with a bachelor’s degree in science; receiving her class’s highest clinical honor, the Golden Scaler Award. She has been working with Donaldson, Guenther + Yilmaz since 2003, and our patients consistently compliment her combination of gentleness, thoroughness, and professionalism. 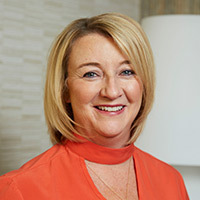 With an incredible eye for details, she gives our patients intelligent tips on dental hygiene and is a vast storehouse of knowledge on natural supplements and holistic healing. She takes a scientific and holistic approach to all she does. Kelly lives with her husband Shawn, son Aiden, and daughter Evelyn in their home in Hartland. She loves to cook, and incorporates healthy eating and nutrition in everything she prepares. Kristen graduated from Ferris State University with a bachelor’s degree in science. 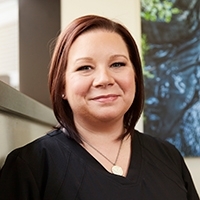 As an advocate for preventative care and enjoys learning and practicing the latest in dental hygiene technique, she loves getting to know her patients and makes sure she accommodates each individual. 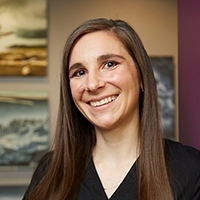 Kristen is passionate about her job, and is energized by helping people find their true, healthy smile. In her free time, Kristen loves to cook and spends time with her family. She has six siblings and loves being an aunt. She lives on a lake in Hartland where she loves being on the water and spending time outdoors. Jessi brings her precision, efficiency, and positivity to assist chair-side and specializes in designing our computer-generated ceramic restorations. She consistently delivers superior quality of experience for our patients and her cheerful and enthusiastic attitude boosts the fun-factor for our team. She is a talented, multi-faceted addition to the Donaldson, Guenther + Yilmaz team. Jessi’s daughter Estelle keeps her running, which is fortunately one of her favorite pastimes - sometimes even racing. She also enjoys working out at Planet Rock. She’s very active in her church, and has been involved in many mission trips to Guatemala. Shannon is described by her coworkers as the office “mother.” Full of energy, she is warm, welcoming, and always concerned with the welfare of her patients and fellow staff. She helps Dr. Donaldson with many of his complex cases and has an excellent eye for color and shape. She is active in producing our E4D CAD/CAM ceramic restorations. Many of you may know her from the annual Chelsea Fair where she has sung the National Anthem for the last 15 years. She is married to Rich and has two children, Madison and Reagan. 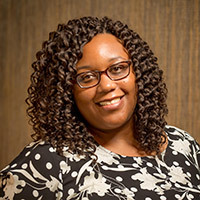 Mindy joined DGY in August of 2018 after completing the RDA program at Washtenaw Community College. Passionate about providing quality care for patients, Mindy loves hearing that a patient feels relaxed and comfortable when receiving dental work. Building strong customer relationships built on trust and shared goals drives her work. Mindy believes that the DGY difference is about comprehensive excellence. From the warm welcome patients receive to the exceptional work from every doctor to the dedicated and passionate staff, she embraces the full DGY experience. Outside the office, Mindy finds joy in spending time with her family and her beagle, Cooper. She also enjoys spending time up north enjoying the outdoors. Ann has been with Donaldson Guenther since 1992, and in that time has watched it grow into something extremely special. A true expert in billing, Ann has many patients call seeking her expertise on annual planning, flex spending, and other benefits. She helps people with personal scheduling and financial arrangements so they can receive the dentistry they desire. She values building relationships with patients and will go the extra mile to make a patient’s experience memorable. Wife to Jaymie, and mother to six sons, Jacob, Jeremy, Ben, Anthony, Nick, and Tristan, she is deeply involved in school activities. 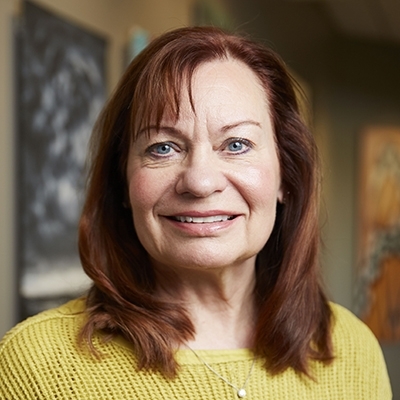 In her spare time, Ann is an exercise fanatic, participating in Yoga and Jazzercise, as well as triathlons and distance cycling. She recently completed her fourth 300-mile Make-a-Wish Ride from Traverse City to Brooklyn. Danielle entire life has centered around helping people. She received her bachelor’s degree in Criminal Justice, but followed her heart to the medical field, where she’s served for two decades. Working at DGY connects with her passion, allowing her to witness life-changing transformations every day. Danielle is mother to Daniel (the center of her universe). In her free time she enjoys traveling and outings with her family. She also has a remarkable passion for writing articles and books as well as writing and directing plays, and published her first book in 2015. If all of that weren’t enough, she also serves as a youth leader at her church.